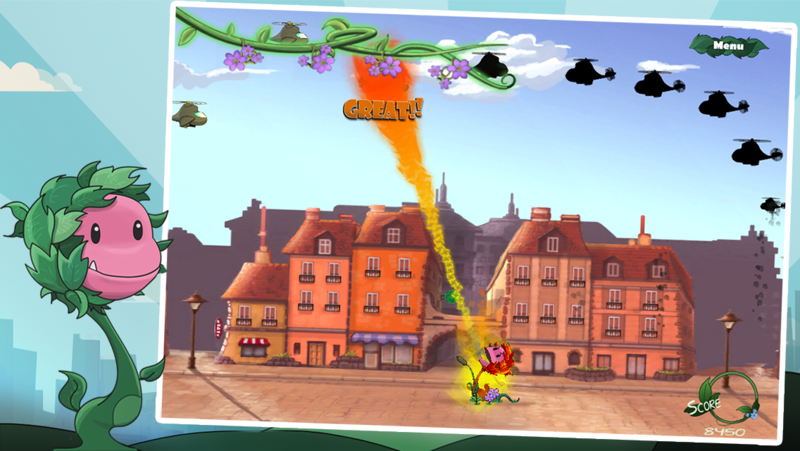 In Hungry Flower, The player controls a particularly voracious carnivorous plant. This plant has an only goal: devouring the greatest game elements passing near it to increase its growth and thus be able to eat bigger items! The diet of this little plant is very diverse, it ranges from insects, through cars until entire space stations! It is not cons, too, tasting a good little meteorite from time to time! But the path leading a fragile little flower of Central Park into a hugeand robust plant galaxy is full of pitfalls! 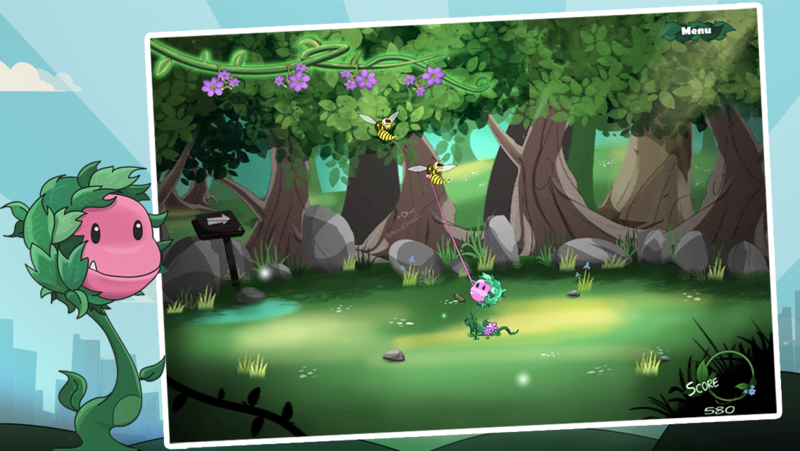 Indeed, on its way for its species evolution, our carnivorous plant will meet many obstacles and enemies throughout the game, determined to prevent it from growing as it would like, making the achievement of this goal particularly challenging ! 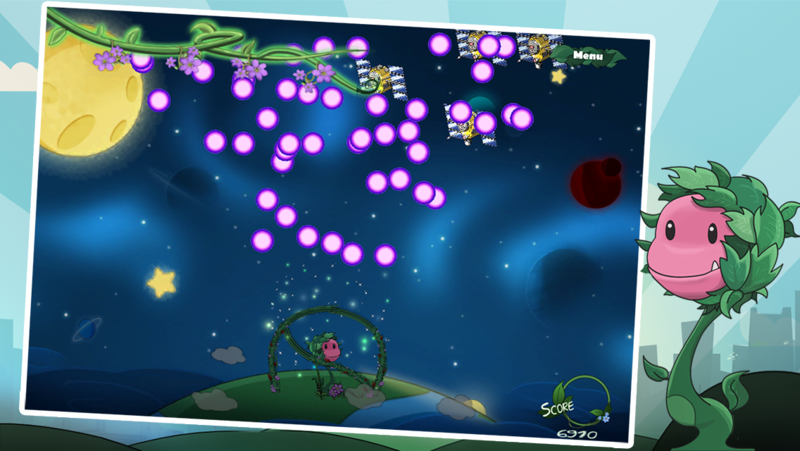 Carnivorous plant’s opponents are varied and depend on the plant growth’s level. As and when the player devours objects and enemies, the tonnagegrowth of the carnivorous plant will fill, when completely full, allowing the plant grows its evolution and the meeting of enemies alwaysbigger and tougher. Throughout its growth, the carnivorous plant goes through four different graphic environments: Central Park, City Center Airport and Space. Each of these has specific objects and enemies, beware formidable helicopter gunships in the Airport andattention to the mysterious UFO in space, wanting to discover the secret of the DNA of our enigmatic carnivorous plant!